In this village, on the north tip of the island, time seems to have stop. Fiscardo is like a fairytale landscape and can enchant every visitor. On the docks, little, traditional boats of the locals can be found near the luxurious yachts of the glamorous visitors, while on the shore, the colorful mansion and the paved paths create a scenery of another era. 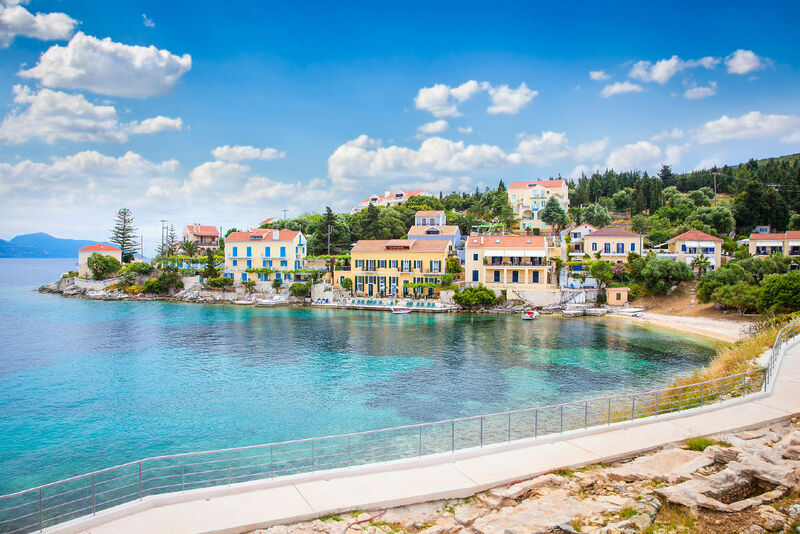 Visitors can enjoy fresh fish at the port’s taverns or they can have a coffee or a walk with the magnificent view of Ithaki, across the island. At the evening, Fiscardo transforms into a vivid place, perfect for dinner of a drink!